Overview Manufacturer: Wicked Wired. Need to adapt a DVI video output port (Ex: Computer graphics card or stand alone digital media player) to a 15pin HD15 VGA input such as youd find on a computer monitor or plasma television? With this DVI to VGA adapter, connecting a DVI output on a new video card to an older 15pin analogue monitor has never been easier! 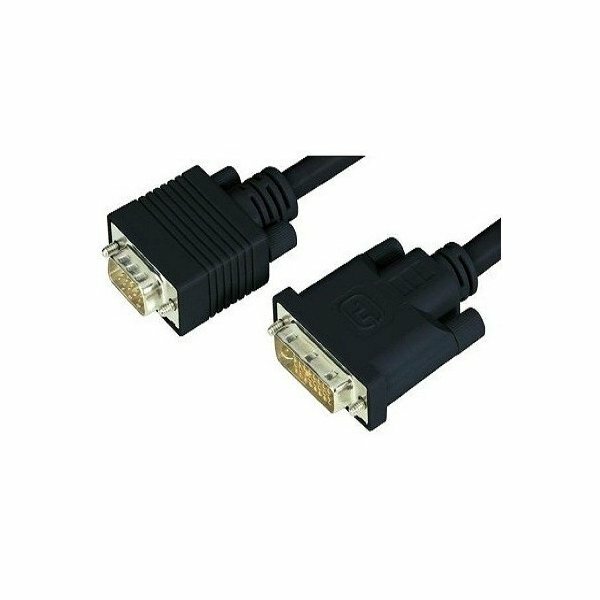 * Connector or adapter type: Male DVI (-D or -I) 17 pin to HD15 15 pin female VGA analogue. Manufacturer: Wicked Wired. Need to adapt a DVI video output port (Ex: Computer graphics card or stand alone digital media player) to a 15pin HD15 VGA input such as youd find on a computer monitor or plasma television? With this DVI to VGA adapter, connecting a DVI output on a new video card to an older 15pin analogue monitor has never been easier!